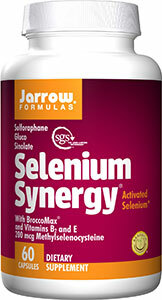 * Supports Thyroid (lowers elevated anti-bodies). Cellulose, maltodextrin, magnesium stearate (vegetable source) and silicon dioxide. 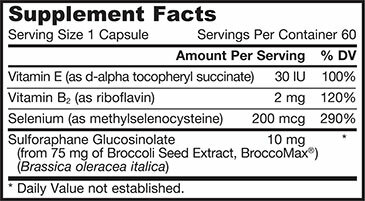 Capsule consists of gelatin. No wheat, no gluten, no soybeans, no dairy, no egg, no fish/shellfish, no peanuts/tree nuts.